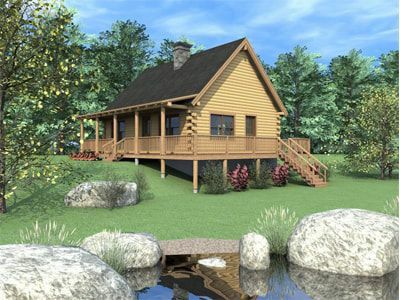 Today's log homes are not what they used to be. 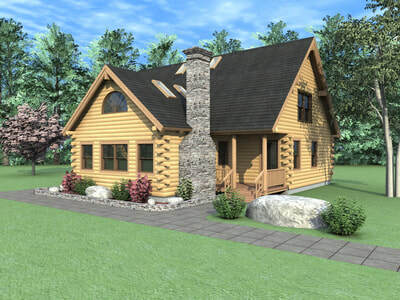 While they are still built with the same rugged and timeless look as they have been for centuries, today's log homes are designed to be lower maintenance, more energy-efficient and more environmentally friendly. 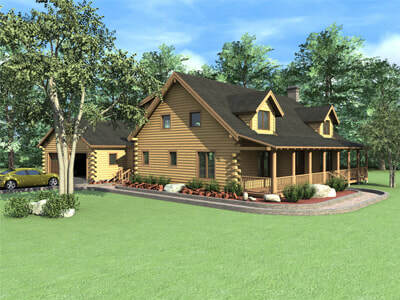 Making sure we can offer the latest in log home advancements to our clients means we need to partner with a log home manufacturer who has continuously been at the forefront of design and technology: Real Log Homes®. 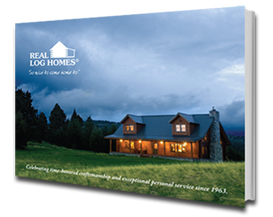 We have been an Independent Representative for Real Log Homes® since 1996. Prior to this we put up buildings from five other manufacturers. 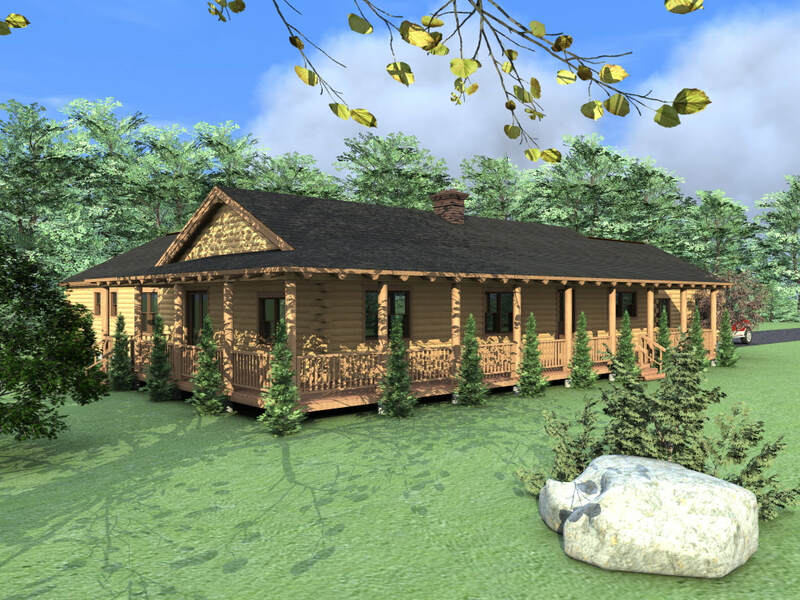 During our long stead we have learned from hands on experience what it takes to help design, assemble and finish a traditional log home to the highest standards. We have also encountered a number of clients who, for various reasons, would like to participate in the project in a hands-on capacity. For these DIY folks we have always been happy to help teach and provide assistance and guidance when necessary. 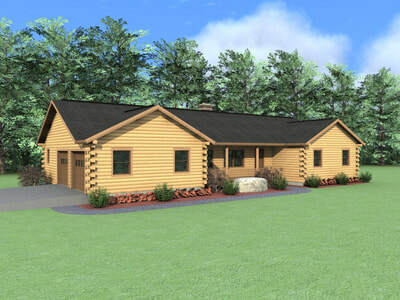 Our experience as builders also allows us to build homes that contain both log portions and conventional built portions. 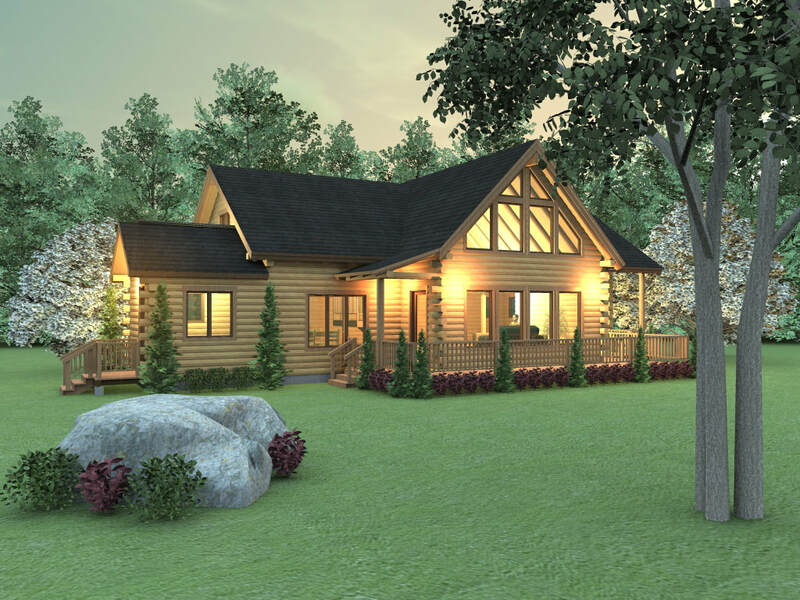 These "hybrid" style homes are a great fit for those people who like the look of a log home, but don't want their entire home to be log-built. 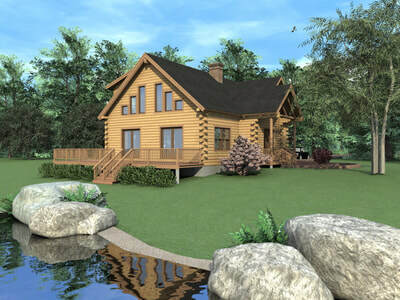 For these clients we can seamlessly build a home with one wing being log-built and the others built with high-quality conventional methods. 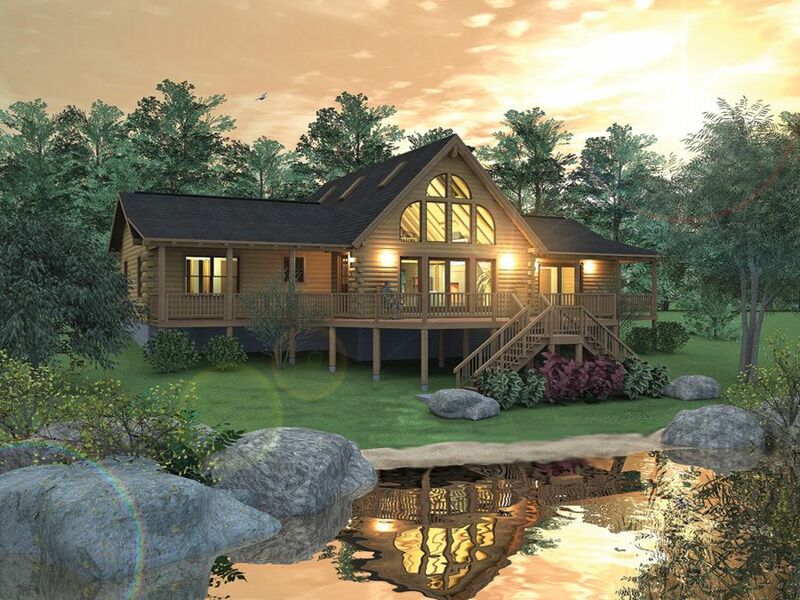 Choose from our standard floor plans and receive 3% off the standard kit price. 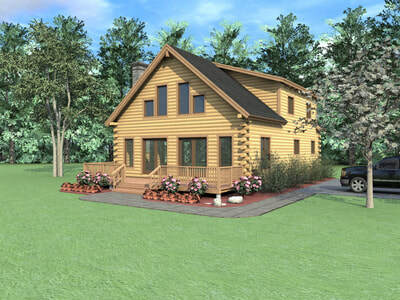 Or, you can work with us and our architectural design department to create your very own design. 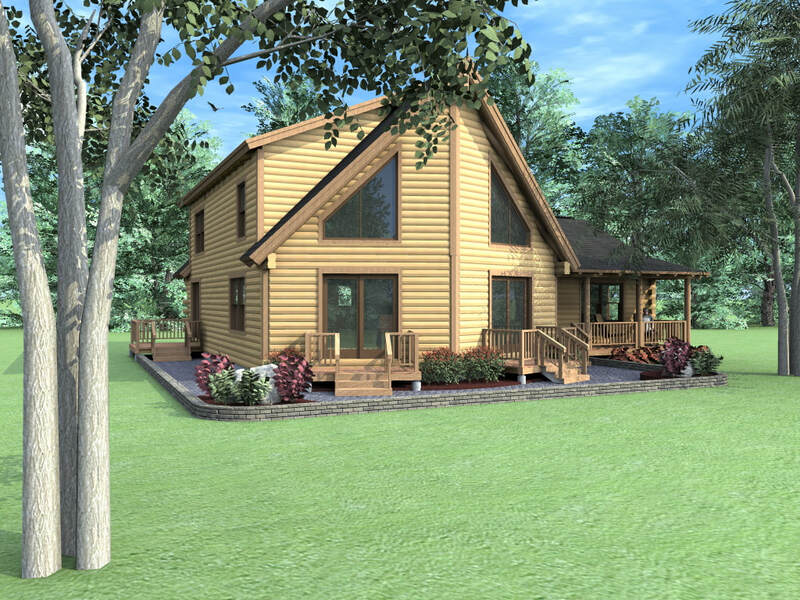 No interior log-bearing walls with our post & beam approach. Naturally dried logs for a tighter construction. Premium graded with quality components. Choose from our 8-inch wide profile with mortise and tenon, Dovetail or Swedish Cope with saddle notch corners in selective wood species. 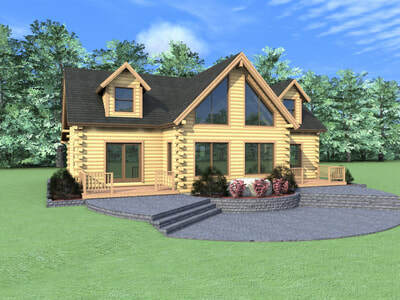 Precision pre-cutting, interlock joinery system and Timbor treated logs making your Real Log Home more valuable. Tighter fitting logs, faster on-site assembly with less waste and quickly sealed from the elements. 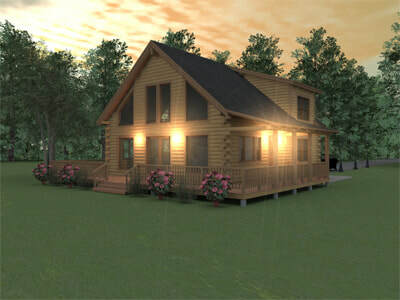 Your REAL log home comes with a ten year Limited Structural Warranty, insured by the Residential Warranty Corporation. 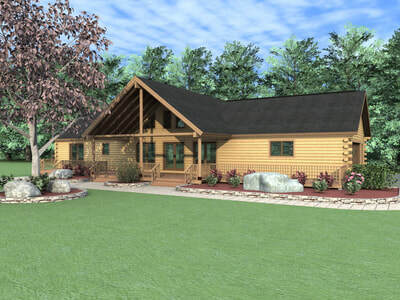 Many clients come to us with a well thought out idea or concept in mind, sometimes even drawings they might have sketched themselves or one of our many Standard Log Home Plans. 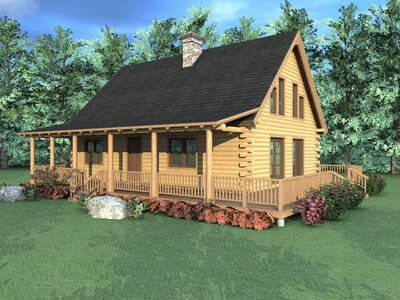 But, many log home customers start from scratch. We embrace either approach. 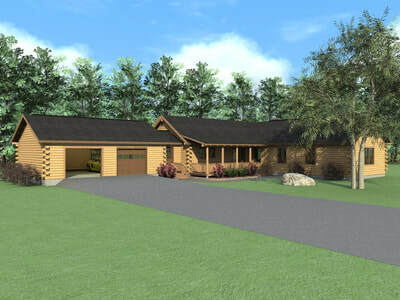 We expect every home to reflect the homeowner, and we expect the design process to be unique as well. 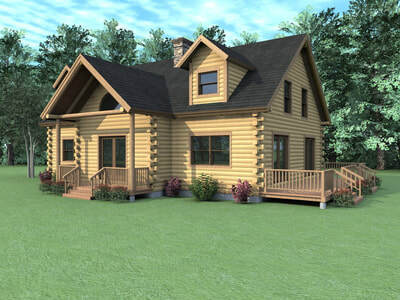 Real Log Homes has a full service in-house design department ready to serve its clients in any capacity. 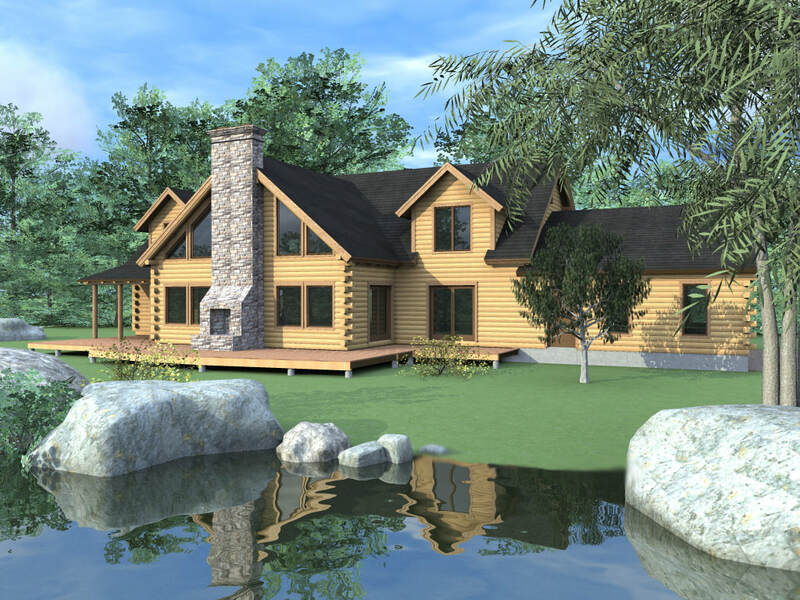 Led by Jim Driesch, who started with us in 1975, our design staff has many years of experience designing the most ideal custom log home floor plans. We can work with your Independent Representative or your personal architect to develop a design that will meet your wants and needs. 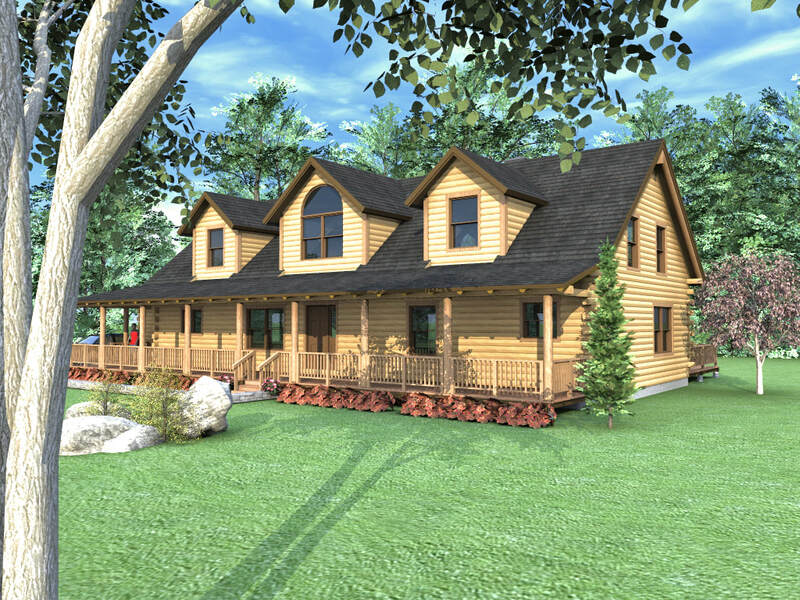 Another benefit of Real Log Homes and its design process is our in-house design team works in the same facility as our manufacturing staff. This means a seamless process from passing the design plans to the manufacturing team, which in turn means less wasted time and money.